Join a private family tour in China and see the diversity of its terrain. Marvel at stellar travel highlights and experience this culture. It is also a family fun tour, offering extraordinary moments for you and the kids. On a family tour of China you will have a great family vacation and a wonderful way to get acquainted with its people and nature. 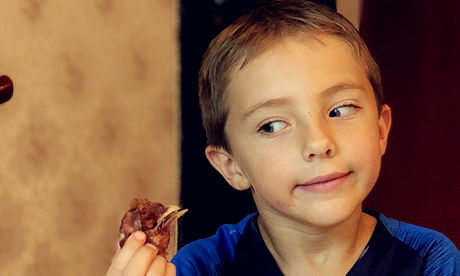 A variety of fun activities are planned to entertain, delight and educate your kids at all ages, like kung fu show, games in swimming pool, cycling, Chinese dumpling making lesson and other cross-cultural exchange program. Family accommodation are in comfortable apartment hotels or hotels with adjoining rooms. Professional and helpful local guides will share their knowledge on sites and experience of life with travelers informatively. A personal story or two may even get shared! 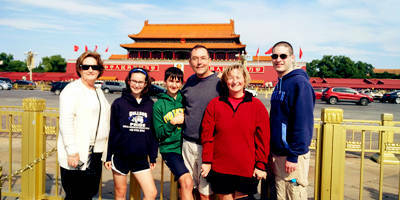 Family tours at Easy Tour China would be unforgettable for the whole family. Memories like these are what scrapbooks are made from, and future generations discuss. Our 1-on-1 expert consulting service ensures you can tailor your family trip based on your own interests. Experience interesting and unique activities – making Chinese kites, being a panda volunteer, biking at Yangshuo countryside, etc. Selected family-friendly hotels to suit your needs - hotels with pools, family suite, etc. Licensed driver and private car in each destination to ensure you a safe and comfortable vacation. Hike the less-crowded and wild Jinshanling section of the Great Wall. Visit a local family in Xian and learn to make traditional Chinese dumplings. 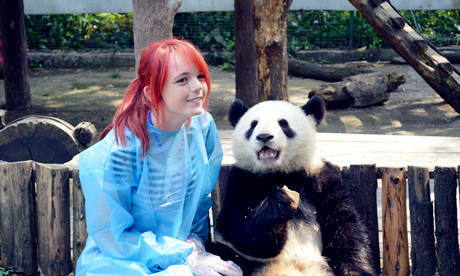 Be a panda volunteer for a day to feed the pandas and work with the scientists. Explore the historical and cultural highlights of Beijing and Xian. Cruise down the Li River with epic karst landscape and bike through pristine Yangshuo countryside. Walk the scenic Mutianyu section of Great Wall and enjoy a picnic lunch on the Great Wall. Discover the old Beijing in hutong and learn to paint facial makeup for Peking Opera. Visit a local family in Xi’an and learn how to make Chinese noodles or dumplings with them. 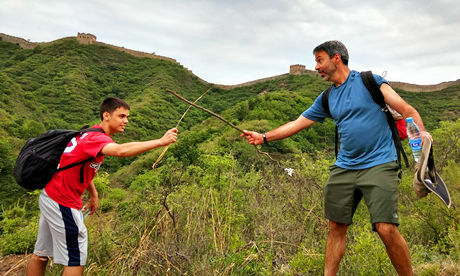 Except for the must-see tourist landmarks and highlights in China, our handpicked family tours of China feature unique and interesting family activities in the destinations to make your family vacation memorable. You can also consult our family travel experts for more things to do for families. On behalf of the Hall and Vergona Family, the trip was truly amazing. Our guide, Sherry Li, was perfect. She was professional, patience, kind and generous. She exceeded our expectation. Our driver was just as wonderful. Both of them made our trip perfect. I am in Tokyo now and was talking to a couple from Australia about your company. I used Easy Tour China in July for an eight day tour and am a returning customer. Thank you very much.